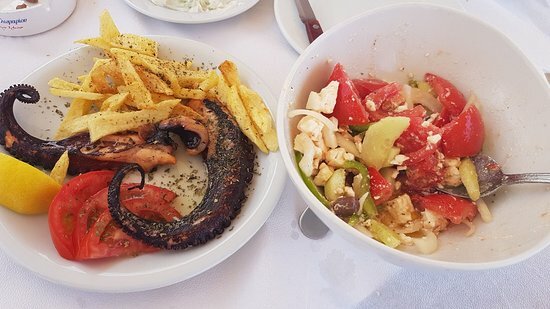 We loved the food especially the Greek and the Cretan salad. The waitresses were very-very friendly. Sometimes we were the only foreign guests; we enjoyed it! Lovely location at the waterside and good menu. The aubergine salad was very mayonaisy, but the fish was tasty. Service was adequate. Get quick answers from Tzivaeri staff and past visitors.